It’s that time! 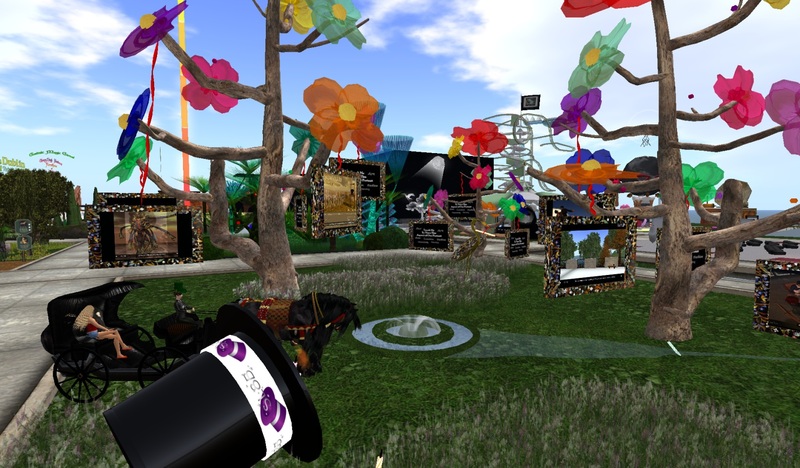 The time when everyone on the grid becomes terribly confused and thinks the celebration is all about SL being 8 years old, hence SL8B, when they SHOULD realize that it’s really about AH3B. Ah well, sometimes it’s simply easier to go along with the crowd. So I got myself a press pass in order to get a sneak preview before the sims open to the public officially on June 23. 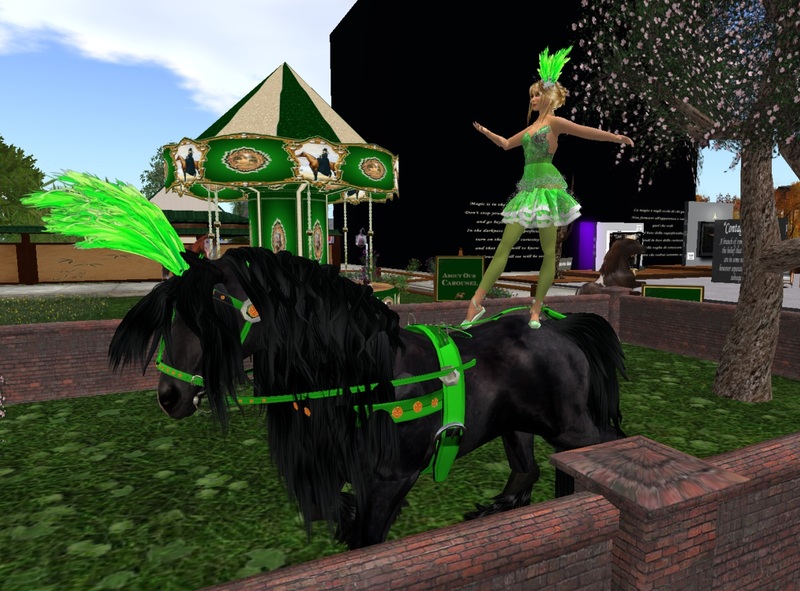 This year’s theme is the magic of Second Life. 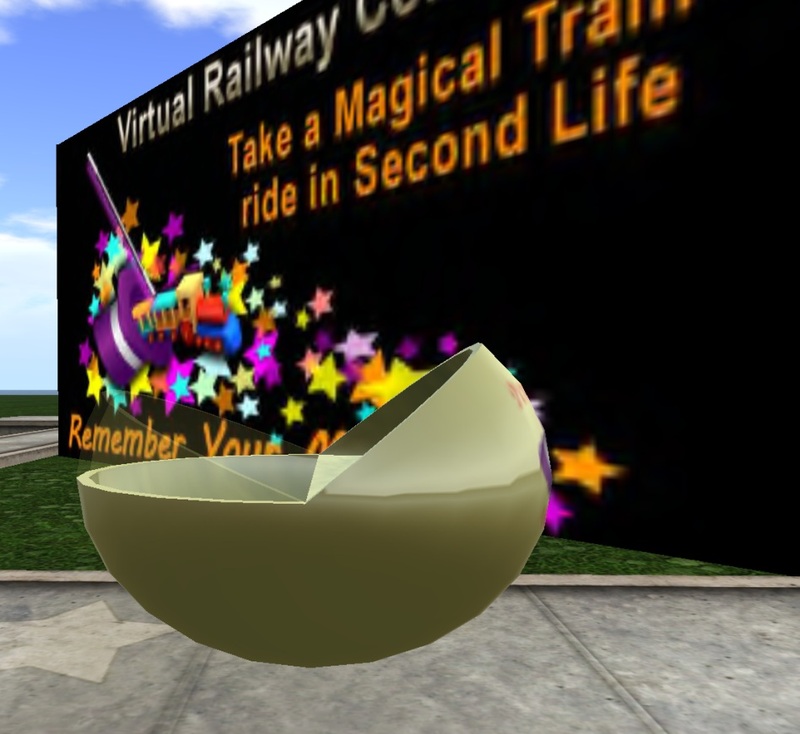 Magic refers not just to practitioners of the craft, but also to the magic we all find in our lives in SL, whether it’s social, commercial, creating, enjoying or whatever else brings you to login. There are many free gifts for attendees and special presentations. You can take a tour of the sims. 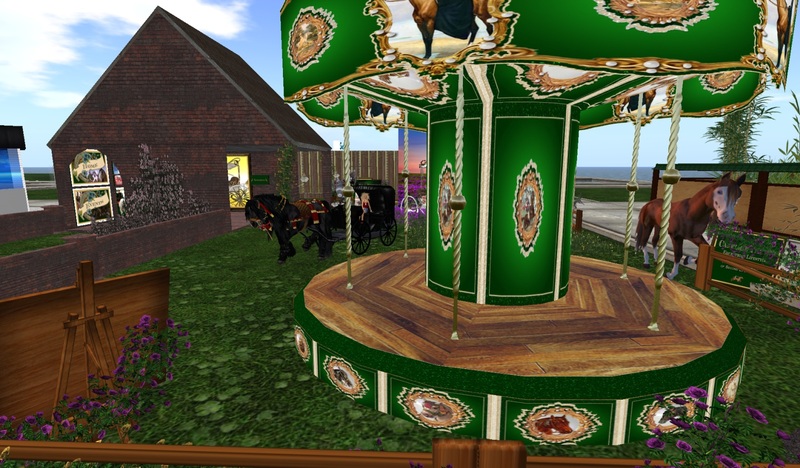 Yavanna Llanfair made the tour pods. You can hop aboard a pod near the welcome area, or anytime you see an unoccupied pod floating by. I headed in on Saturday morning, having rezzed my press package and donned my press pass. *grin* I tp’d to the welcome area. I don’t think I went to SL6B nor SL7B, so I was not really sure what to expect. Wow. That was my first reaction – Wow. It’s huge. It’s dazzling. There are monumental builds and smaller, intricate detailed builds. I thought I’d start by looking at the formal auditoriums and stages. My press notes ask me to credit all the builders and give locations, etc. but I confess that I failed to capture most of that information on this first pass. I had gotten to the 2nd stage when I knew I was going about this all wrong. At that point good fortune intervened. Shenlei was at her SL8B build and saw me on the radar. She and Fancy Mesmeriser offered to come and fetch me and take me on my very own tour of the sims. *grin* See – it IS all about me. Although the standard tour pods are cute and very efficient, *I* got to tour in a carriage drawn by a beautiful prancing horse. This is where I fall down on my press obligations. I took many pictures, mostly ooo’ing and ah’ing at the builds. I’ve posted all my pics to Flickr. There are 21 sims and I believe that Fancy carried us through nearly all of them. 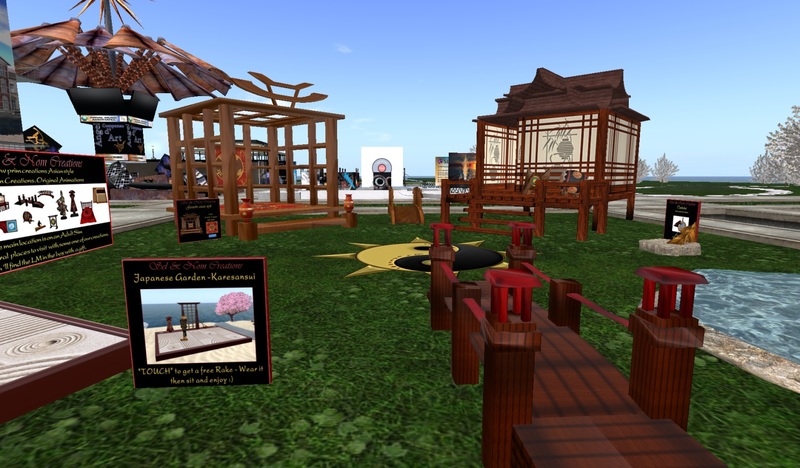 One build that caught my attention and camera was Karesansui by Sel and Nom Creations. I made sure that I got to see Honour’s build and Shen’s build, as I had some sneak information about both of those during the building phase. Of course, their two sims were just as far apart as they could be, with Honour on Spellbound and Carriage Trade on Stunning. Brave, dear, strong Fancy!!!! /me pats Fancy’s neck and offers a sugar cube. You need to have streaming media (v2 or a tpv based on v2) running in order to appreciate all the photos at Honour’s build. And you get to live out your dreams of life in the circus at the Carriage Trade build. *grin* The circus outfits are in the apples! You, too, can dance upon a gorgeous circus horse. I will be heading back and posting more, I am sure. 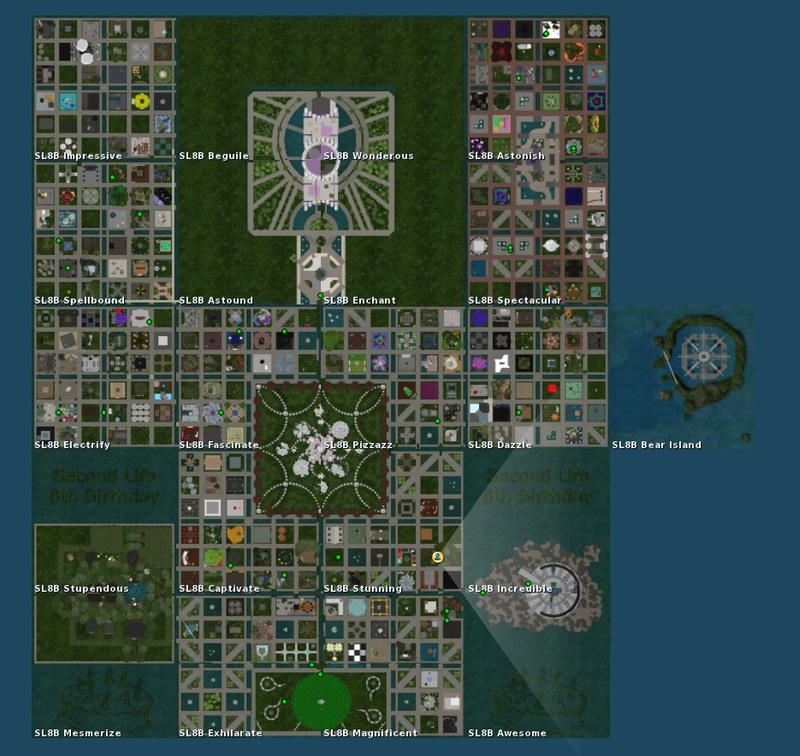 I want to be certain to get to Bear Island and get my free Linden Bears. 🙂 Following is the official information, including links to blogs with information and SLURLS. Happy 8th birthday, SL!! 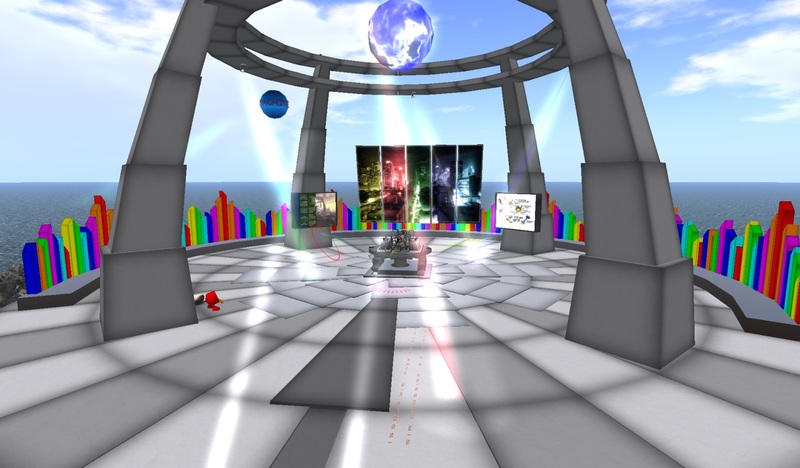 Spanning 21 sims with over 700 contributors, over 300 exhibits, over 300 live performers and speakers with special speeches from Philip and Rod Linden, SL8B is a showcase for the accomplishments and content of all SL residents, celebrating the “life” of Second Life. SL8B kicks off at 10:30 a.m. SLT on Monday, June 20 and runs through Sunday, June 26 with a glittering assortment of musicians, speakers, artists, business leads, media mavens, merchants, social organizers, and other amazing Residents like you.We’ll be keeping the 20-region site open for another week, so you’re welcome to come and tour the builds at your leisure. We’ll officially close the gates on Saturday, July 2 at 11:59 p.m. SLT. All event times and locations, slurls, links, social media, etc., can be found on the resident blog: http://sl8b.wordpress.com. We will be updating the blog every day and including the most up-to-date information. June 20—10:30 a.m. SLT: Gates open to the public for the opening ceremonies. Scripts and build disabled throughout estates for the duration of opening ceremonies to discourage instances of lag and disruption. They will be turned back on after the opening speech. 11:00 am. Kim Linden speaks, opening the celebrations. July 2–Gates close. Sims will be locked.